What Sort of Jacket Should You Get? It’s jacket season. Even if a sweater or jumper will suffice, it doesn’t finish off your outfit like a jacket. 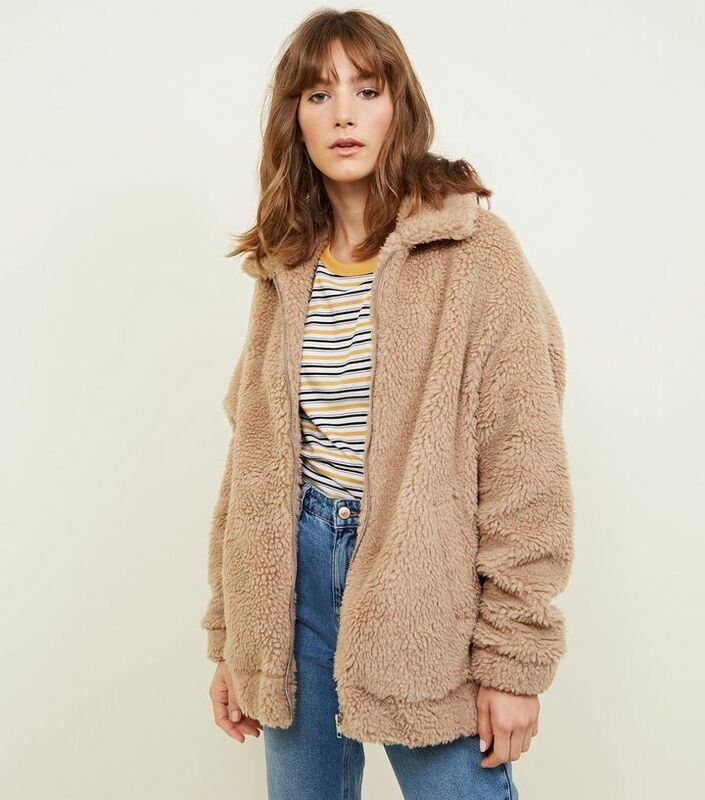 I am not talking a big fur lined parka that we need for the majority of Autumn/Winter, no, just a little jacket that you can throw on and that goes with most things. Utility jackets were popular last year and there are still a few around but I am delighted to see that blazers and bombers are still donning the front row of London Fashion Week. Shearling will be popular for both short jackets and longer coats. (Teddy jackets are a thing that is circulating that I’m hoping won’t catch on). 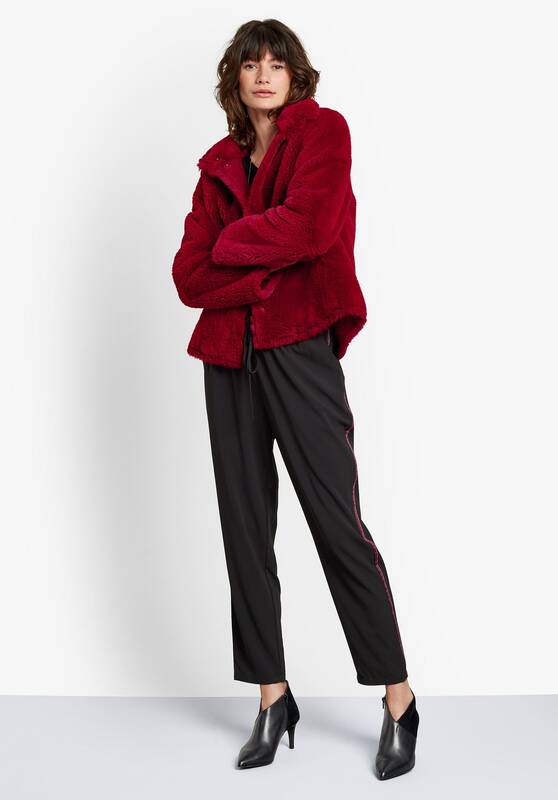 My ultimate shearling coat however, would be this dream coat from ME+EM. Seeing as it is £1 short of 1k, I won’t hold out much hope but am on the hunt for something 10% £1000. There is a lot of brown around at the moment. If you look sophisticated in shades of brown (generally works on warmer skin and darker hair) rather than a walking xxxx, this is a lovely well priced jacket from Sezanne. You will have had to be walking around backwards not to notice all the leopard print coats on the high street. I really don’t think this is a trend that I will be joining as I just really look like Pat Butchers little sister in a full length leopard coat. BUT I love short. I love zips. 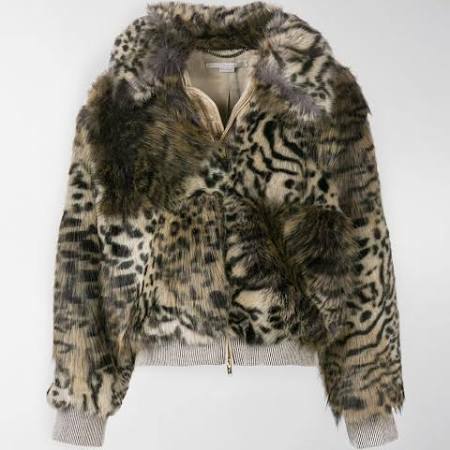 I love bombers and I LOVE Stella Macartneys Leopard Print jacket. Again. I have only included for inspiration but if anyone can tell me a high street version, I will buy them one too! I would also err on the side of caution as when a trend (leopard) is this big (aka I have heard of it) I wouldn’t invest too much dollar in it as it may look reallllly wrong next year! If you want leopard print go for a another animal print or different colour way. I am almost truly set on this Holister Co shearling for £65. It will definitely that satisfy that shearling shaped hole. You can’t go wrong with this £20 ASOS cotton bomber. It’s in my shopping cart! Works at pick up, with work out gear or even over a evening wear. If you are looking for sleeveless, which you can also wear underneath your coat when it gets colder for extra warmth, these Big Cat Clothing gilets are warm and a great fit, good length & come in loads of different colours. Another staple is a denim jacket. I like light blue and stretchy (maybe a bit summery) but I think any denim is a perfect transitional piece and one that you will use year in year out. 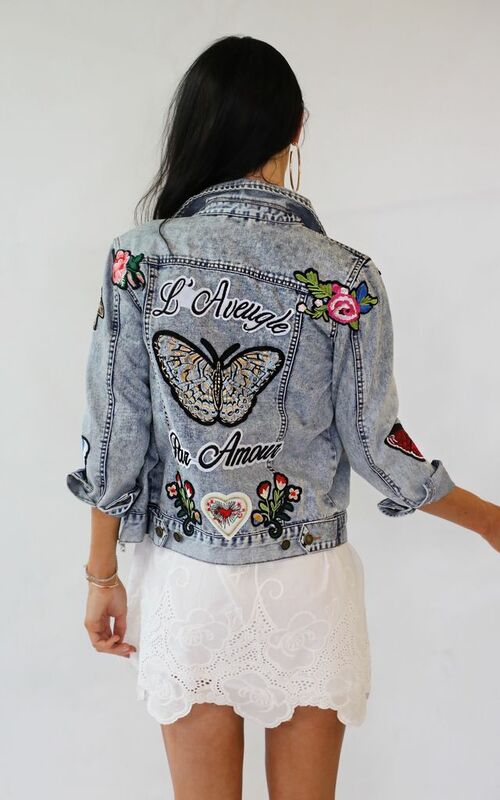 I haven’t had any luck with my ideal denim jacket but if you want a girlfriend denim jacket (slightly looser) or embroidered, there are plenty. Thank you for reading! Hope this has inspired rather than confused!